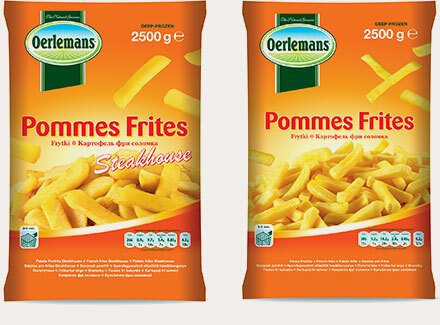 Oerlemans potato products are very popular because of their excellent flavour. Made from the best Dutch potato varieties and pre-fried in vegetable oil. Thanks to a special procedure before frying, Oerlemans potato products contain 50% less fat than others. Nutrients are also retained, thanks to the special freezing technology developed by Oerlemans.